Why does FACIALTEAM make Facial Feminization videos? When a patient comes to FACIALTEAM for a consultation, one of the most frequent comments we hear is that they are grateful for the facial feminization videos we publish. Through other people’s feminisation videos, they are able to get an better idea of the real results and expectations after surgeries. The testimonials of trans women who have undergone facial feminization surgery are important to share, as real experiences of the transition process. For some people, facial surgery is one of many steps in the transition process, although in reality it is recommended at least after a period of hormonal treatment. For other people, facial gender-confirming surgery is the most important procedure within the physical, surgical transition. In their feminization videos, patients explain why they have chosen FACIALTEAM for their surgery and how their experience has been in our hands. In addition, the testimonials are usually recorded only a few days after the surgeries, so the initial changes before and after may be apparent although it necessary to wait at least half a year to see the final results. Frequently, FFS patient videos show transgender patients with some swelling, bruises on the face, orbital and ocular bruises, scab on the hairline (if they had simultaneous hair transplant) and other frequent symptoms of the short-term postoperative period. 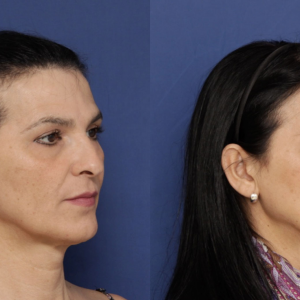 Facial feminization surgery involves several techniques that affect bone structure and it is normal for soft tissues to take time, weeks or months, to adapt to new forms. The most popular testimonial on FACIALTEAM’s Youtube channel so far is by the model Pari Roehi. She shares her experience of facial harmonization with FACIALTEAM as a transgender woman. 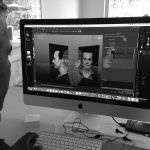 You can see the her images before and after on our website gallery as well as in the video. The main FFS techniques are explained with a 3D avatar simulation video, so it´s easier to understand the complexity of the surgery. 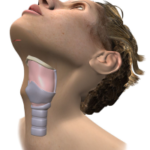 One of the most frequent feminization procedures is the Adam’s Apple reduction. 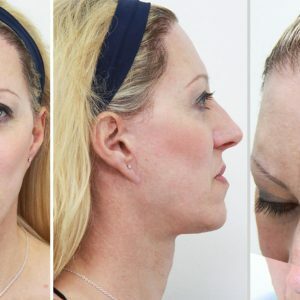 The technique developed by FACIALTEAM directors, which aims to soften the prominence of the thyroid cartilage, yet without leaving a highly visible scar. The hidden scar is very important. It it´s not ideal to trade a smaller Adam´s apple for a mark that calls attention to the area. We see patients with this type of scar on the Adam’s apple performed in other centers. Therefore, as a solution, we now offer a personalized micro-pigmentation service designed by April’s Touch, called microfeminization (registered trademark) which counteracts visible signs of interventions such as scars y changes in pigmentation. The FACIALTEAM Youtube channel aims to offer neutral, extensive and quality information to all people interested in facial feminization and facial harmonization techniques. In addition to the feminization videos of real patients, videos of surgeons specialized in facial feminization for transgender women, relaxation techniques, facilities, and even participations of other professionals involved in trans healthcare around the world. The videos of surgical procedures explained by the doctors are a first contact with our team of caring professionals. A key element for the success of any treatment is to have surgery with full confidence in the team and a peace of mind that you will be taken care of at all stages, with a security in the quality of the results.